Either they have downsized and their art no longer fits (I can relate), they have remodeled and their old art no longer looks good in the new surroundings or they are having financial difficulties and need some quick cash. This works better for artists with a more local appeal (Timberlake, Mangum, etc.). The downside is having to deal with strangers in your home, but it is free, so you can price your art without having to give anyone a commission. This also works better for known artists, but you will have to deal with packing and shipping and possible damage. You will also pay a small percentage for using the site. As in selling through a consignment shop, don’t expect to make much selling through a garage or estate sale. Garage sale shoppers especially are looking for bargains, so you won’t make very much. You are not paying any commission (unless you hire a company to help with an estate sale), so whatever you sell, you keep. You have to deal with people coming to your home as you would with Craigslist, so that is a downside as well. If you have an original or a limited-edition piece of some value, this might be a very good option for you. Based in Las Vegas, they have been selling art via the internet since 1995. Listing is free and commissions are on a sliding scale based on value of the art – 25% for $2,000 and up, 25% for $5,000 and up, etc. 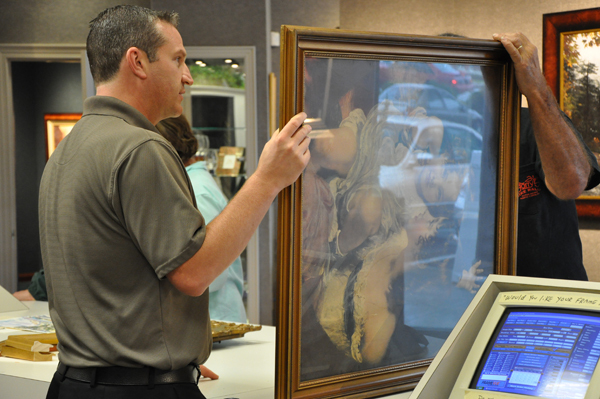 Last, but certainly not least, The Art Shop may be your preferred option for selling your art. 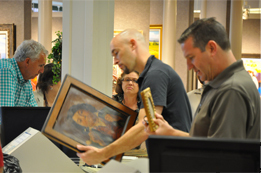 If you are selling a piece by an artist we represent, and we believe we will be able to successfully place your art, we can take it in on consignment. If you are a collector who has purchased a piece from us in the past, we are always happy to try and assist you in finding a new home for your piece. Please note: we do not purchase artwork from the public at anytime. Our extensive experience in selling art allows us to guide you in how best to price it. We promote your art to our huge mailing list of clients across the globe through newsletters sent any time new art is available through us. Our website is easily found through major search engines, and we work diligently to make sure potential buyers are able to find your art on our website. We handle any negotiations with potential buyers and eliminate your risk of being scammed. We pack and ship all art that is sold with no cost to the seller. 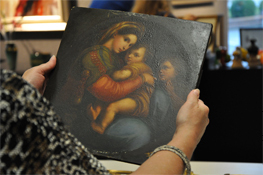 You can rest assured our skilled team will pack your art securely and have it arrive at its destination safely. In the unlikely event of a shipping insurance claim, we handle all of that for you. Our consignment terms range, depending on the piece and whether or not it was purchased from us. The ease and peace of mind The Art Shop offers make it the best option for selling your limited edition or original artwork. Call Andy at 336-855-5800 to see if we may of assistance. Posted in CommunityTagged advice on selling art, art, bill mangum, bob timberlake, buying art Greensboro, fine art, how much is my art worth?, how to sell art, limited edition, lithograph, original oil painting, resell art, sell art online, selling art Greensboro, serigraph, where can i sell my art?